UDINE- A man has confessed to strangling his young girlfriend and driving all night with her body in the car before turning himself in on Tuesday morning, local police have confirmed. 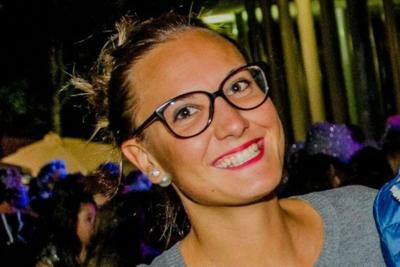 Francesco Mazzega, a 34-year-old from Pordenone, went to Palmanova Traffic Police Station in Udine on Tuesday morning to confess to having killed his 21-year-old girlfriend Nadia Orlando, also from the Udine Province in Friuli-Venzi Giulia in Northeastern Italy. The two were work colleagues from a local business called “Lima” which specialises in orthopaedic prosthetics. The young woman’s body was found reclined on the passenger’s seat of Mazzega’s Toyota Yaris in the Police Station car park. Police said the motive for the crime is yet unknown. A cousin of Orlando’s spoke to local press on arriving at the 21-year-old parent’s house of her father’s concerns over her relationship with Mazzega. “Nadia’s father was very worried,” she said, “he spoke to me about his fears about this boyfriend, who he described as possessive and jealous, a few days ago. He broke down in tears not knowing what to do, after his daughter told him of her own concerns.” Another relative told local journalists that the family raised the alarm when they realised that she hadn’t returned home on Monday night. Orlando was a much-loved member of the community and helped out in the local festival and newspaper. In 2016, Telefono Rosa released figures which said that 116 women were victims of “femicide” (the murder of a woman by her partner or husband, current or ex) in Italy over the course of the year. This equates to almost one “femicide” every three days. On July 14, a woman was brutally murdered by her ex-husband the day before their separationg hearing in Montepulciano, Siena. On July 13 the day before, another woman was shot dead in a town square in Dragoni, Caserta by her husband and a woman in Bari was stabbed by her partner.